The Patient Protection and Affordable Care Act (more commonly referred to simply as the Affordable Care Act or “Obamacare”) was enacted in 2010 and included numerous provisions intended to make health care more accessible to the millions of uninsured Americans. Among these were a discontinuation of denial for pre-existing conditions and the open marketplace where patients can find subsidized healthcare plans, allowing them to pay thousands less per year for health care coverage if they meet certain income limits. The marketplace opens for enrollment each year. 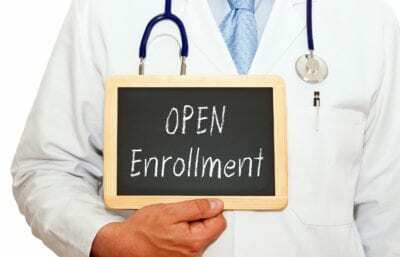 In 2018, the open enrollment runs from November 1st to December 15th. The ACA has provided millions with health care coverage they otherwise could not afford, as well as provided coverage for those with pre-existing conditions which would have otherwise prevented them from acquiring coverage. Businesses with more than fifty employees are required to provide health care coverage to employees, which further saves many Americans on yearly costs. The primary disadvantage many have noted of the ACA is that those who do not have full healthcare coverage are required to pay additional taxes. The tax penalty for failing to acquire coverage is $695 per person up to $2,085 per household, or 2.5% of the household income, whichever is greater. For those who work for very small businesses or middle-class families who do not meet the income requirements for subsidized insurance, obtaining coverage may still be a financial stretch. Premium subsidies to help cover the cost of healthcare are offered to families are who living at 400% of the federal poverty level or below. Those who are at the lower end of this range may be eligible for state-funded healthcare, such as Medicaid. Federal Poverty Limits are based on gross income compared with some expenses and the total number of household members. Those who earn more than this amount are not eligible for subsidies. Buyers can sign up via the marketplace through healthcare.gov. Those who miss the deadline may still be able to receive coverage if certain stipulations are met. Special Enrollment coverage is sometimes offered those who suddenly lost coverage from a job, got married or had a baby. Those who do not meet these requirements and fail to enroll by the deadline will be subject to the tax penalties.